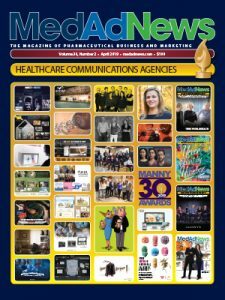 A new not-for-profit supplier of generic drugs formed by a consortium of hospitals systems expects to be able to provide about 20 products during 2019 to alleviate shortages of medicines used during surgeries and to treat life-threatening conditions, such as septic shock. Amgen announced that the European Commission approved an expanded indication for Blincyto monotherapy to include adult patients with Philadelphia chromosome negative CD19 positive B-cell precursor acute lymphoblastic leukemia (ALL) in first or second complete remission with minimal residual disease greater than or equal to 0.1 percent. The cost of insulin for treating type 1 diabetes in the United States nearly doubled over a five-year period, underscoring a national outcry over rising drug prices, according to a new analysis shared with Reuters. AbbVie Inc.’s blockbuster cancer treatment Imbruvica in combination with chemotherapy agents failed to meet the main goal in a late-stage study of patients with a form of pancreatic cancer. The U.S. Food and Drug Administration approved a biosimilar to Roche Holding AG’s blockbuster breast cancer treatment Herceptin. Roche announced that the U.S. Food and Drug Administration accepted the company’s supplemental Biologics License Application (sBLA) for Tecentriq in combination with Abraxane and carboplatin for the initial treatment of people with metastatic non-squamous non-small cell lung cancer (NSCLC) who do not have EGFR or ALK genomic tumor aberrations. The House Committee on Oversight and Reform launched an investigation into prescription drug pricing practices. Merck & Co. released data from KEYNOTE-181, a Phase III trial of Keytruda as a monotherapy for the second-line treatment of advanced or metastatic esophageal or esophagogastric junction carcinoma. Britain’s drug price watchdog rejected Novartis’ migraine drug Aimovig for now, concluding in a draft decision that the medicine was not a cost-effective use of National Health Service resources.